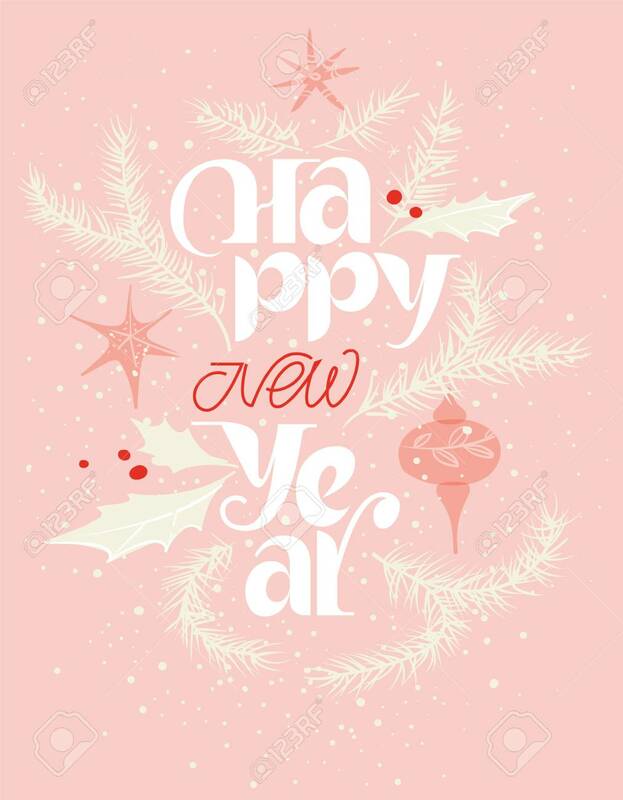 Happy New Year Card In Pink And Red. Gentle Snowing Royalty Free Cliparts, Vectors, And Stock Illustration. Image 113911573.